Excitement, jitters, busy-ness, new routines… it can feel like a lot. Stories can help children prepare for big transitions - by giving children an internal experience of navigating a challenge successfully, and helping them imagine the good possiblities for the outcome. We have a heap of stories that will ease the Back-to-School transition for you and your children – including three free stories! Teeny is a little toadlet who is about to go to school for the very first time. When he realizes that going to Toad School includes leaving some of his friends from the pond, and making new friends on land, he grows nervous. His mother reassures him that toads are lucky because they can make new friends at Toad School while keeping their old friends from the pond. For many homeschoolers, there is no distinction between “learning time” and “not learning time” like there is with traditional school. But in the dog days of summer sometimes you just laze about, and then come the cooler temperatures of fall and you get excited to focus again. Or maybe you are coming to homeschool for the first time! Whatever the case, we’ve got stories for you, too. From the Martin & Sylvia: More Adventures Series. When Martin learns that the children who attend the town school often give “teacher gifts” on the first day, he suggests that Sylvia and he do the same for their teachers: Momma and Daddy. In secret, they make “butterfly gifts” that transform their entire home. From the Martin & Sylvia's Nature School Introduction Collection. Momma, brother and sister decide they want to dedicate one day a week for outside “nature” school and they set intentions about it. By the next day, Martin is enrolled in the Goose-eye Wilderness school and Momma has formed a homeschool nature day with Sylvia's friend Sophia. "Wow! ", they think, "Making intentions really works!" We also recommend you tell your own stories. Can you remember from a time of going back-to-school? What was most exciting and rewarding about it? Invite your child to do the same. Or tell stories about a time when you had to do something you felt nervous about. How did it turn out? What was the best part about finding courage? What did you get to experience? Invite your child to do the same. 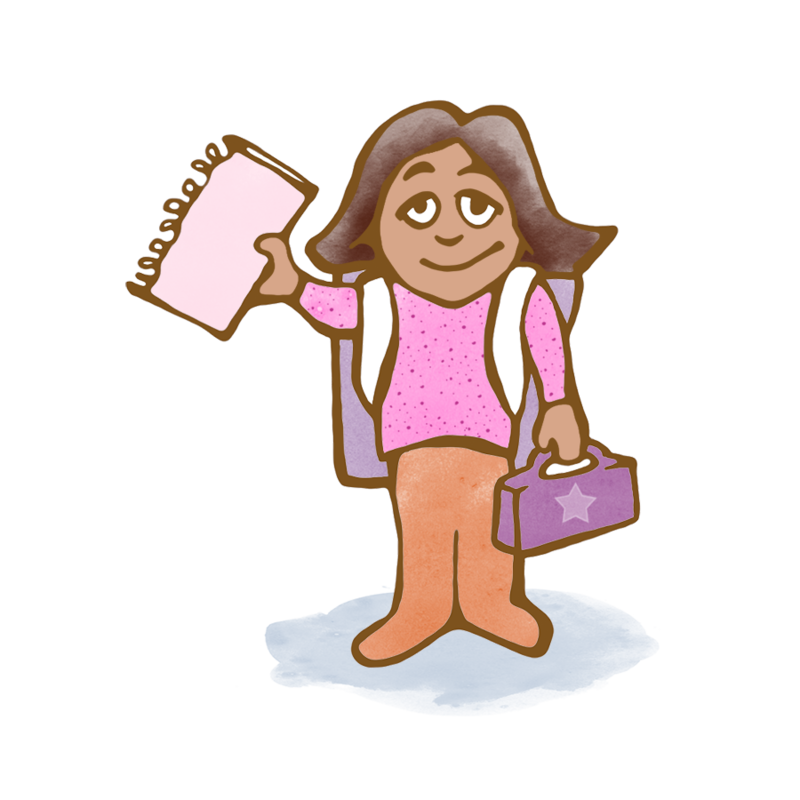 And for even more, for our subscribers: don't miss our Back to School collection: three stories designed to help children prepare for going back to school or going to school for the first time! Each story helps to reassure children about the transition, and inspires excitement and anticipation for the adventures to come. Find the Back to School collection here.